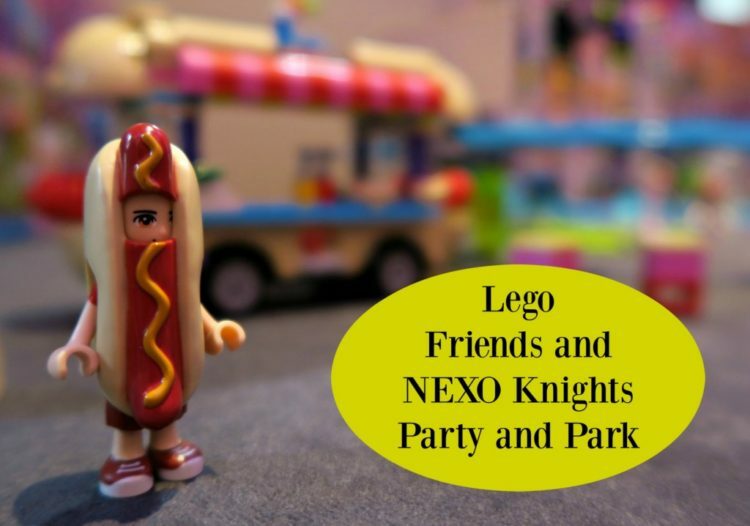 Being a Legoland Ambassador this year has been so much fun already, so when we were invited along to a Lego Friends and Lego NEXO Knights party, we had 3 very excited children! 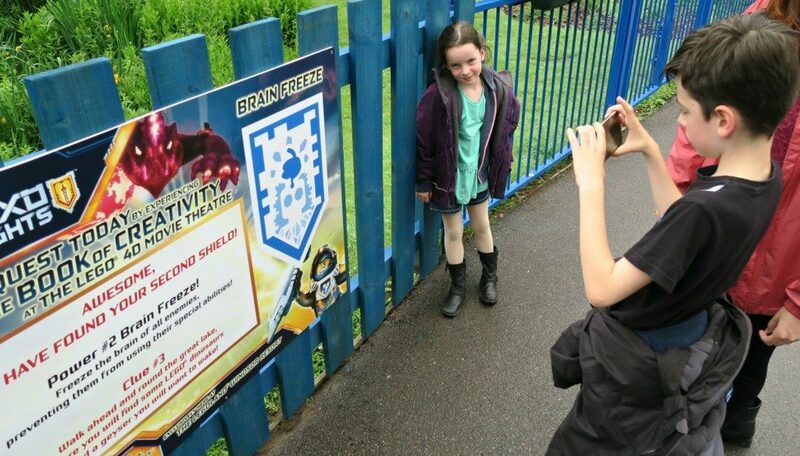 Legoland has a new NEXO Knights 4D film out in the park, so we headed off in the rain to go and watch it first. 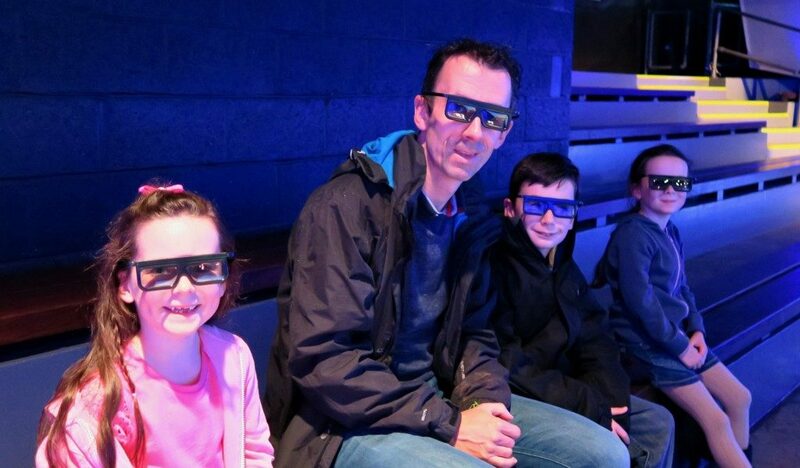 My kids love the Legoland 4D films, they are full on fun, and this new one wasn’t going to disappoint. With fire, rain and wind, the kids loved it. I still love watching them trying to catch the 3D objects that come out of the screen at them! 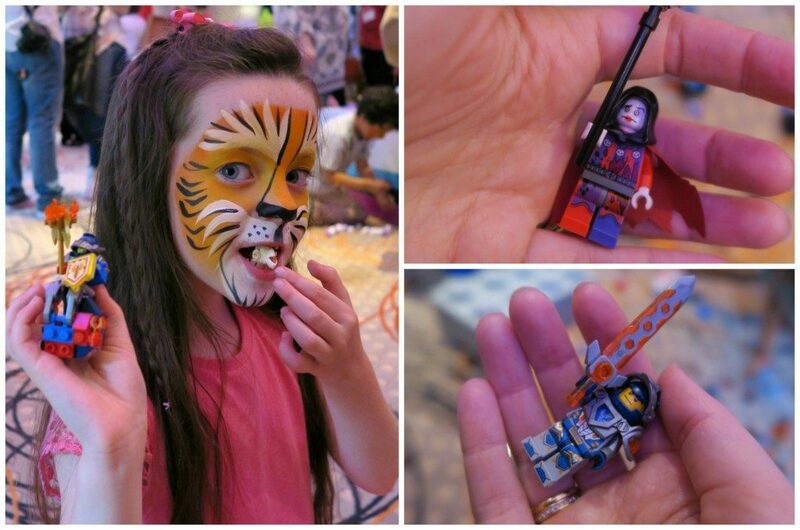 We were invited back to the Legoland Hotel for a party! 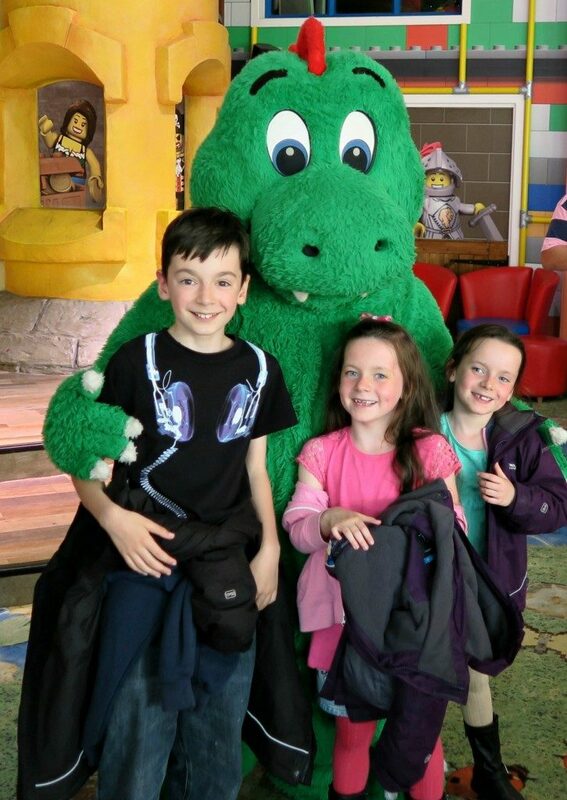 The hotel alone is such a fun place to be, we even got to meet the Legoland dragon, that went down well as the kids haven’t met him before, so ran off for cuddles! 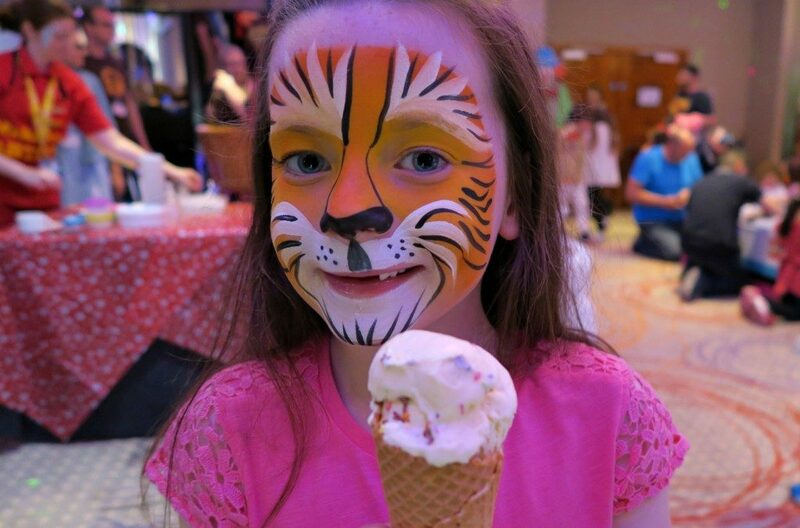 The party room was full of fun, from ice cream, popcorn, face painting, photo booth, loads of Lego to play with and party games to play. Lego have recently released a new range, Lego Friends Amusement Park and Lego NEXO Knights. 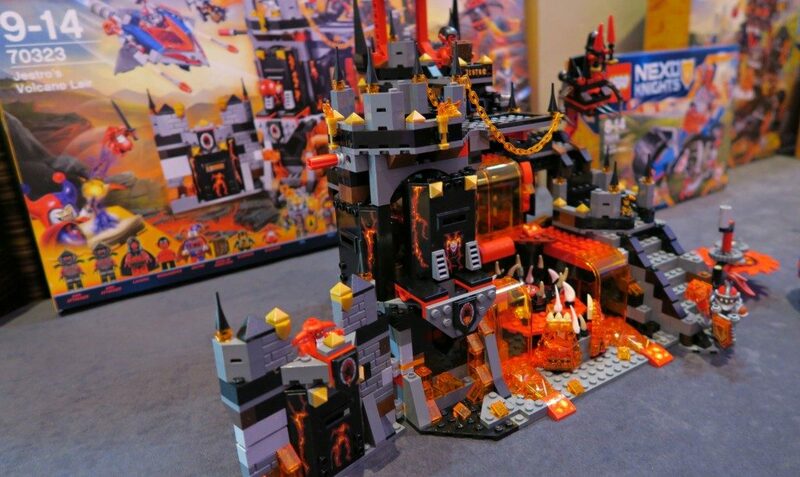 Both these sets were fantastic, and you only had to look at the table and see all the kids happily playing with the new sets. This sums Lily up, happily playing with Lego whilst eating….popcorn! For the people who are paying attention, and I am one for consistency, Lily’s fantastic face paint got ruined once she ate, so we had to wash it off before we went into the park! Once we had some food we headed off into the park, as it was a weekend in June I expected it to be packed, but surprisingly it wasn’t too bad. The weather wasn’t fantastic that weekend so maybe that put people off, however we didn’t mind! 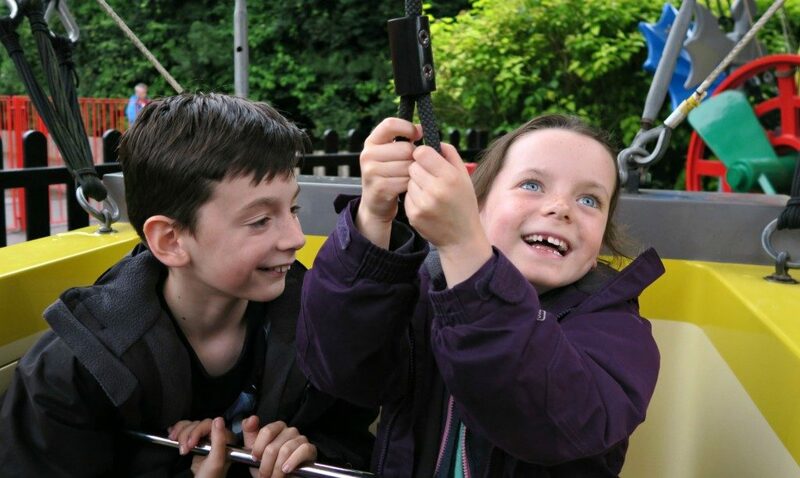 On our past visits we have done all the big rides, so this time we thought we would do the smaller rides, and ones we don’t usually do. It was really nice to do this, not rushing around trying to get on big rides and enjoying all the other parts of the park. This picture makes me smile, here is Sofia pulling on the rope to make the balloon go higher and higher, here is Tyler her older brother who is telling her not to keep going up high (look how tight he is holding on!!) She is so cheeky and loves it! They really wanted to go on the main Dragon ride when they saw it, so we queued up for about 15 minutes, however for some reason the carriages got backed up, which meant we ended up sitting going nowhere on the track, and that freaked Tyler out! 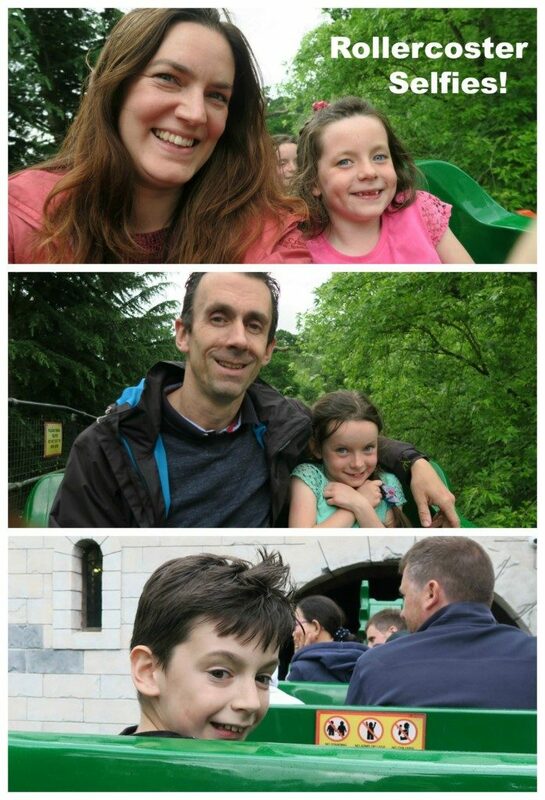 So to take his mind off it we took some rollercoaster selfies! 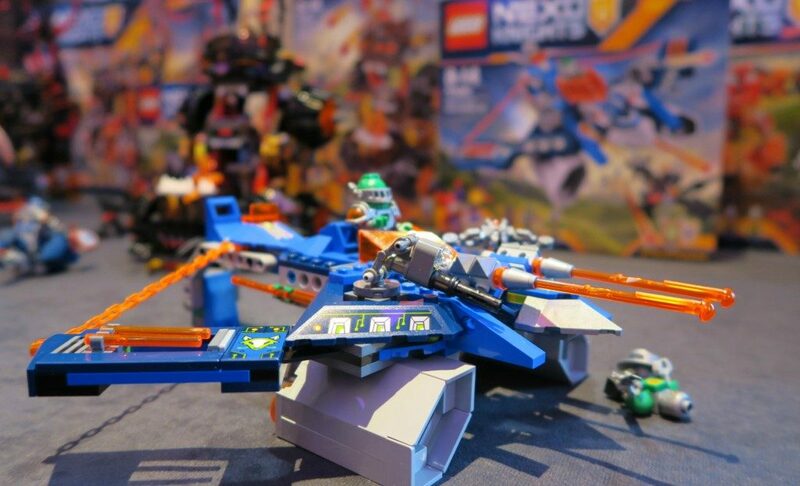 Legoland have also released a free NEXO Knight app, where you collect shields for special powers as you are going along in the game. So download this before hand and then keep an eye out for the shields around the park, add your special powers to your game. This really appealed to Tyler! Legoland is great as they like to acknowledge things that around important to us as country, so to mark the Queen’s 90th birthday, they have added to their Miniland section. 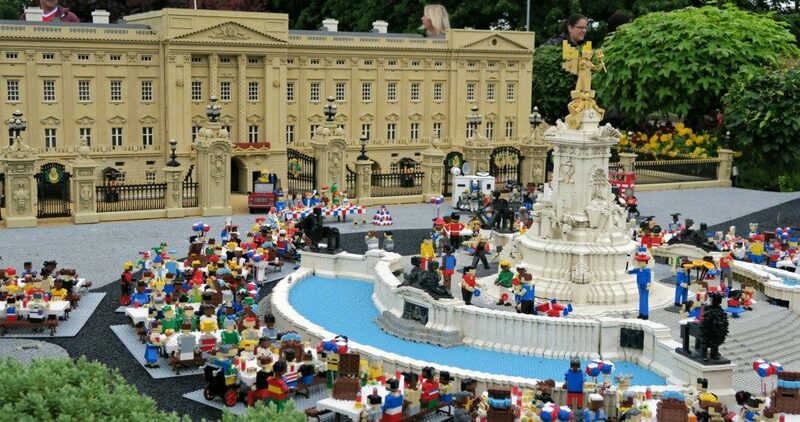 They held their own Miniland street party on the Mall in front of their Buckingham Palace. With more than 600 Lego Minilander guests, Union Jacks flags flying and bunting. I loved it and thought it was a nice touch, if you want to see the display it is there until November. 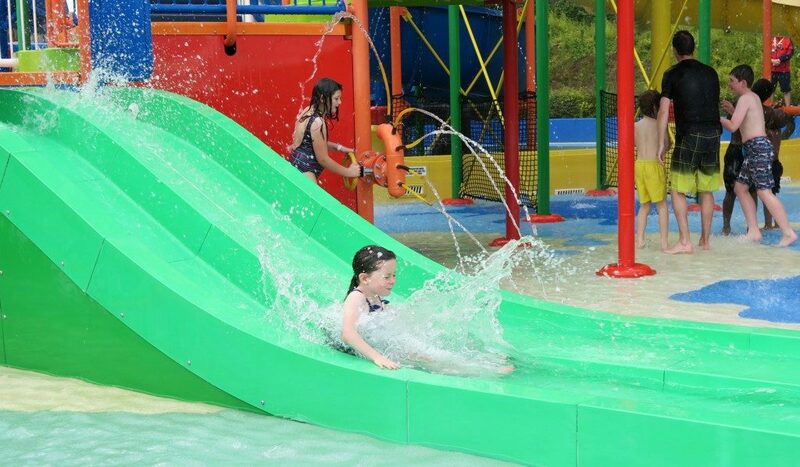 We finished off our day with a play in the water park! This is something we have never done before, the kids were so excited to go in here. It was so much fun, they were freezing! It wasn’t the warmest and the weather wasn’t great….matter of fact, a thunderstorm came over about 15 minutes after we left but they had fun. Be aware they will not let you in if you don’t have swim wear on, I saw a Mum being told to take her little toddlers t-shirt off…this I didn’t understand as he had swim shorts on and it was only on to keep him warm. Once again we had a fantastic day at Legoland, this place never bores us or gives a rubbish day out. We love it here and cannot wait to go back again. My boy is nearly 4. He is not into lego that much yet. He meases around a lot with small pieces and everything gets lost. Plus with my 17 months old around its and bit dangerous. But I need to get him into the habit of playing at the table. Wow what great funcyou had!! I can’t wait for all my girls to be old enough to enjoy theme parks. Especially legoland. It was a favourite for me growing up. 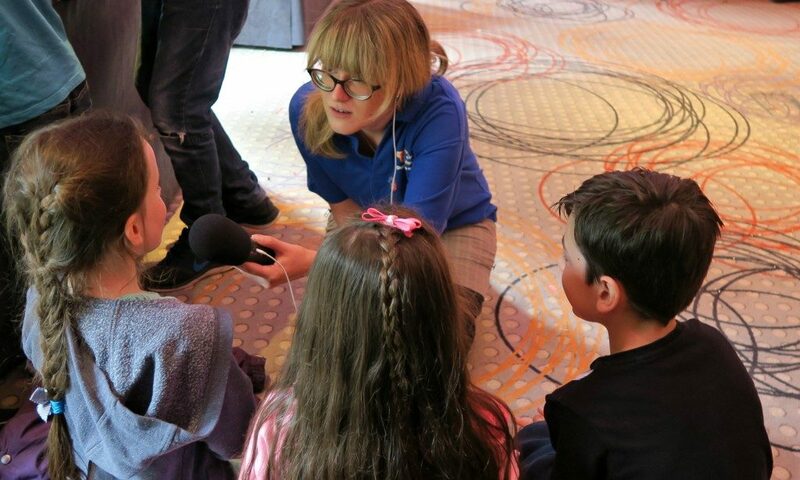 Legoland ambassadors, oh you lucky ducks. 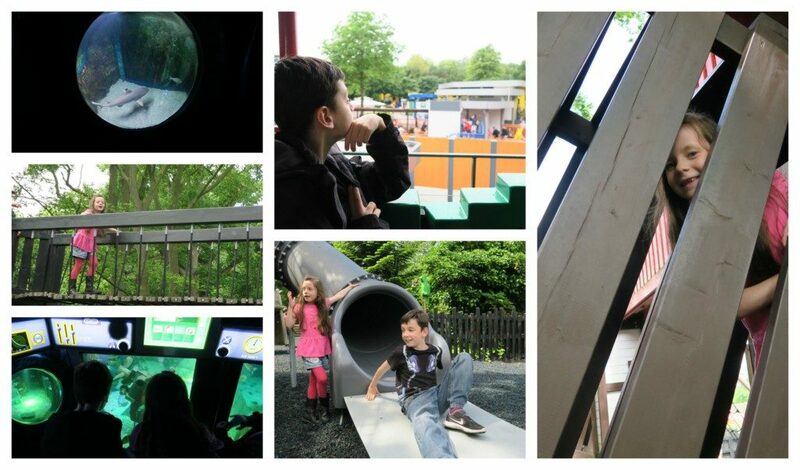 By the looks of those pics the kids had a ball. Been years since I’ve been to Legoland. 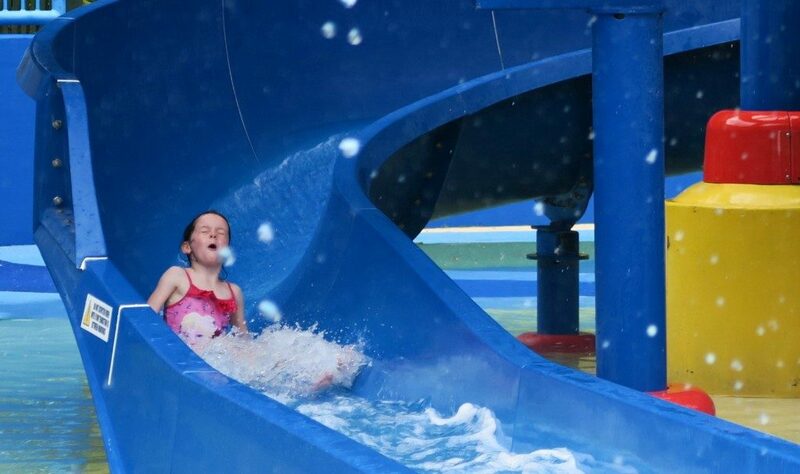 How could you ever get bored with all those rides and water fun too. A real treat to go to the evening blog event too. 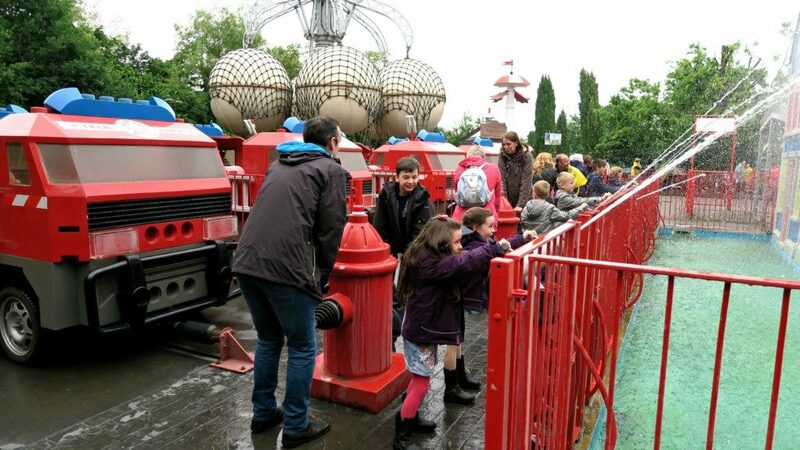 My only experience of Lego land is August with horrid hours of queues and wasps, it looks like you plan things much better than me and no wonder the kids love it. Oh the wasps! We had one summer when they were soooooo bad, it was horrible. We only have queue jump tickets when we have visited in the summer as I hate queues too. 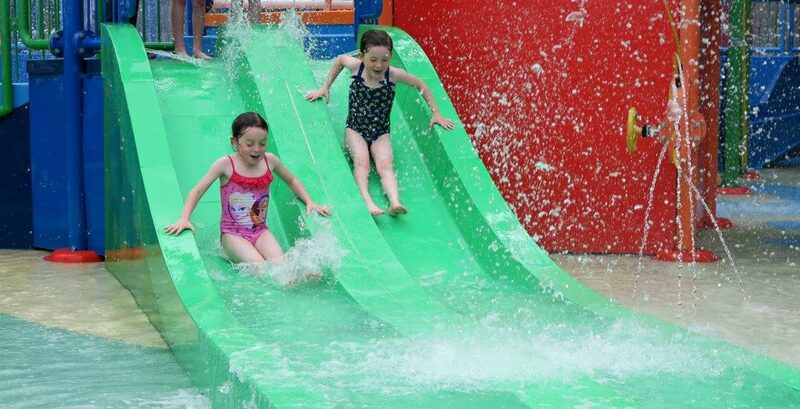 Oh my goodness, this looks like the best fun! That tiger face paint is impeccable too! 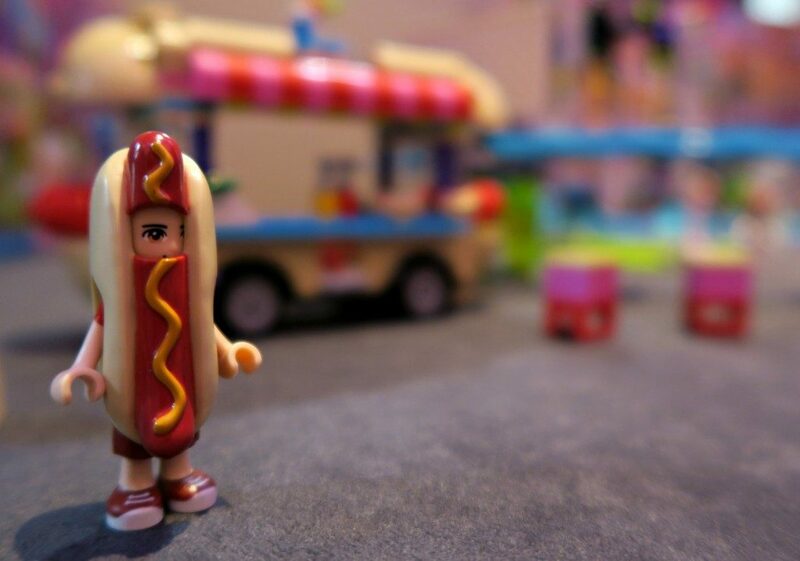 My daughter is OBSESSED with duplo, lego, everything like that…. I can’t wait to take her to Legoland one day.